Georg Jensen: Silver and Design (Hardcover) by Thomas C. Thulstrup (Author). The History of the Georg Jensen Silversmithy is an on going story of an enterprise that has influences Danish Decorative Arts for 100 years and has become a worldwide and successful business. It all started in 1904 when Georg Jensen opened a small workshop in the center of Copenhagen Denmark, and quickly became famous for his unique and innovative work with silver. This book tells the story of the first 100 years, highlighting a series of designs and illustrating the way which designs and products from the Georg Jensen Silversmithy reflect the changing styles of the 20th Century in a quite remarkable way. 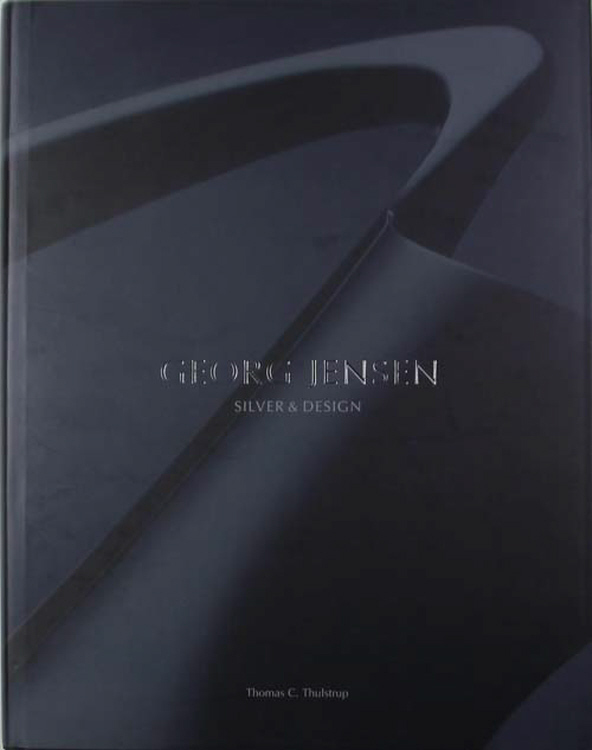 This book was published in the year Georg Jensen Company celebrated 100 anniversary of the company. This book is in English.